Makers and consumers can tell you that the best liquors are those that have been aged. As far as manufacturers and fine liquor drinkers go, the longer the aging process takes, the better the product. However, there is more involved than aging. The type of vessel used is equally, or even more important than the age. 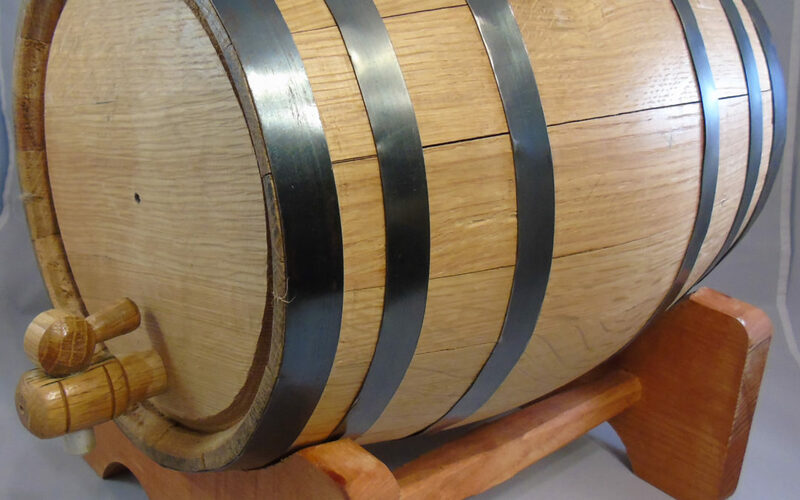 Those who enjoy making their own liquor at home can use a small oak barrel to store and flavor the liquor in less than half the time it takes for aging alone to bring out the ultimate flavor. The process is all about the details. First of all, the small oak barrel must be kept in a slightly humid area in which temperatures are not constant. The warmer temps cause the liquid to expand into the fibers of the wood where the liquid picks up the taste of the oak. When temperatures go down, the liquids pull back and flood the entire barrel with flavor. This happens several times a day. Such a process makes it easy for the small oak barrel to do the job in little time. When wine experts discuss tannins, they are usually speaking about what the stems and skins of the grapes that are used. The wood in oak barrels adds to the tannins. A small oak barrel will do the same thing. Tannins are not the only consideration involved in barrel aging. When the spirits expand into the wood and pull back, the liquid pulls wood sugars into the mix. The results are stronger, sweeter flavors. As spirits age in a large or small oak barrel, they take on various flavors. Drinkers may taste cinnamon, nutmeg, vanilla, butterscotch, and even black pepper. Best of all, the use of a small oak barrel lends a smoothness to the taste.